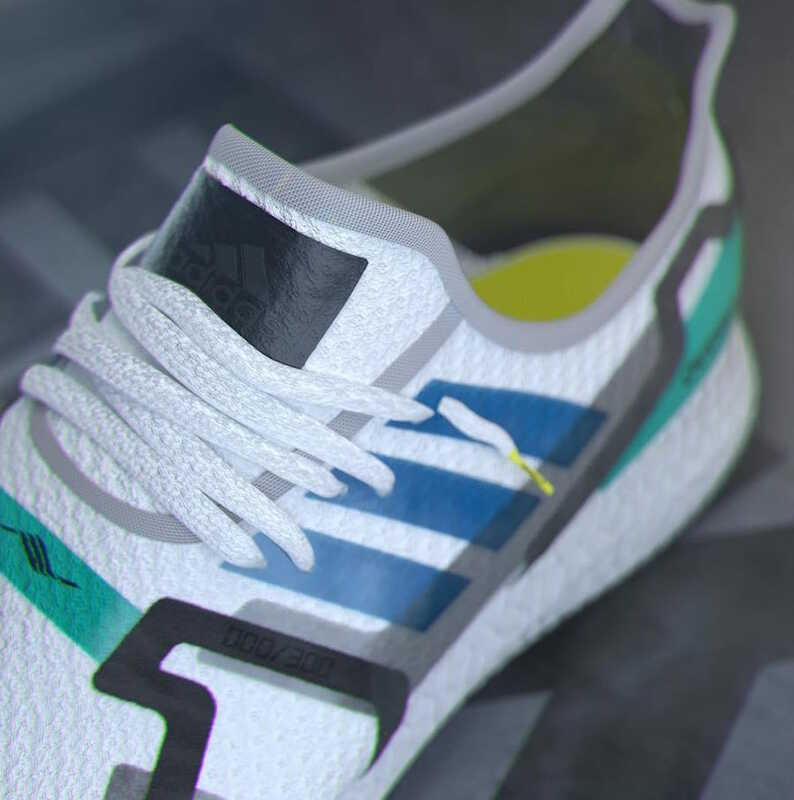 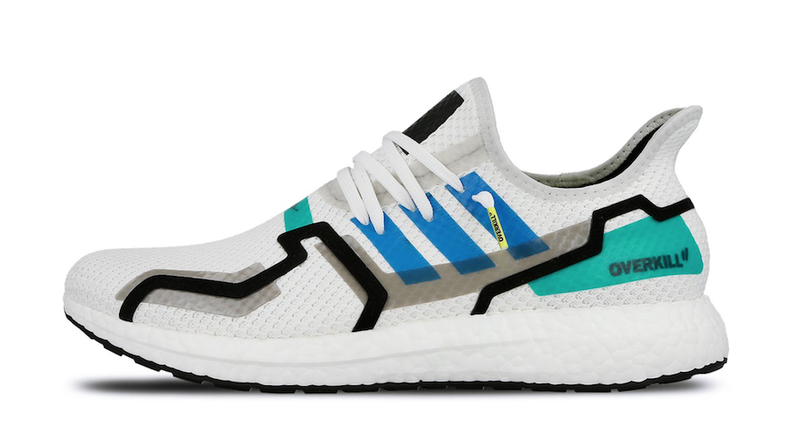 Said to be limited to 300 pairs, this adidas AM4 comes in a White and Supplier Color textile knitted upper with a Speedfactory patch for reinforced stability atop a full-length boost midsole. 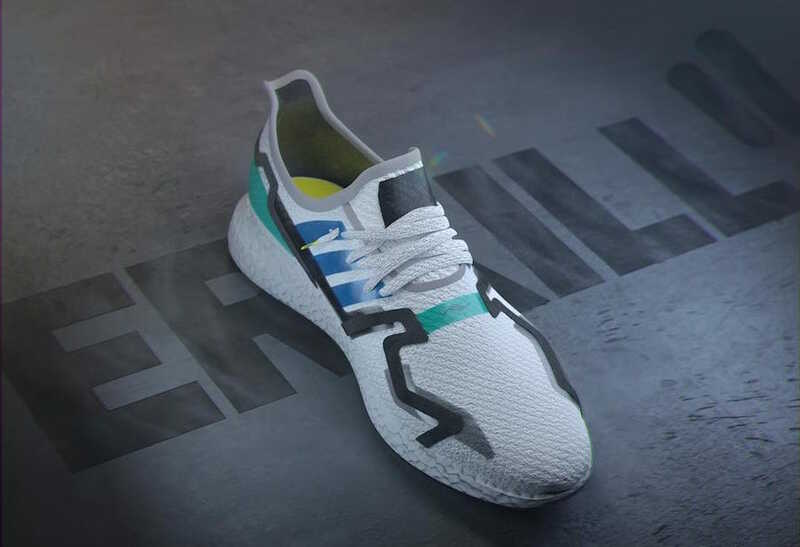 An NFC chip is placed so when scanned with a smartphone, it’ll reveal a video of the shoe being laser-etched with its own individual number. 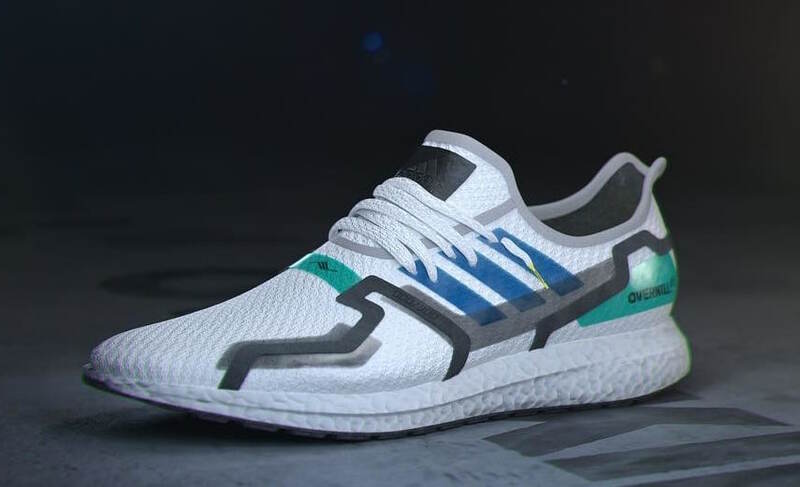 The Overkill x adidas AM4 is set to release in-store only on Saturday, October 6th.